Blue Bottle Serving Platter (P/N BP B). A colorful and eco-chic serving accessory perfect for any table or kitchen. Each platter includes a grape-handle spreader. 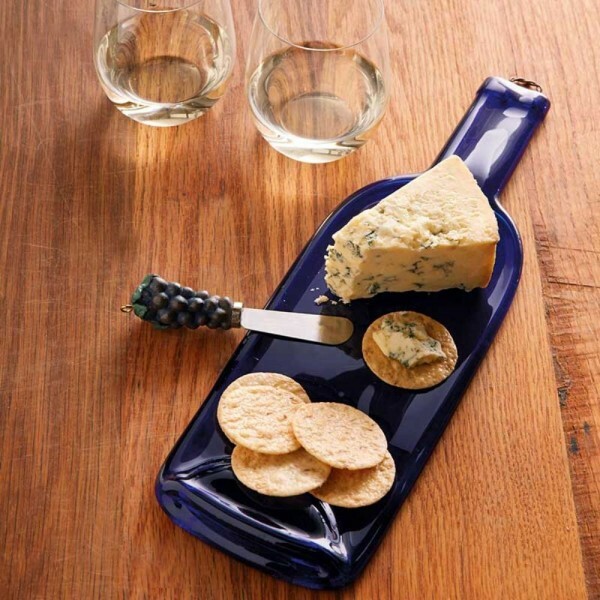 This is a real cobalt blue bottle melted down into a one-of-a-kind cheese plate.